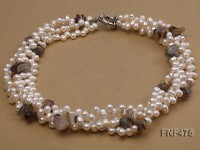 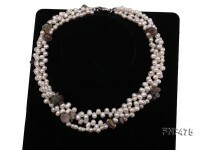 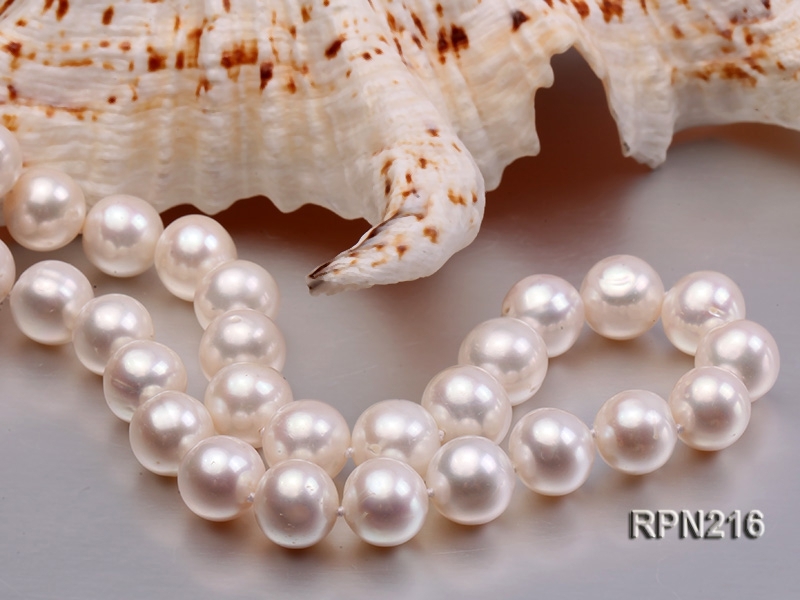 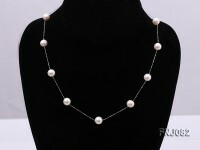 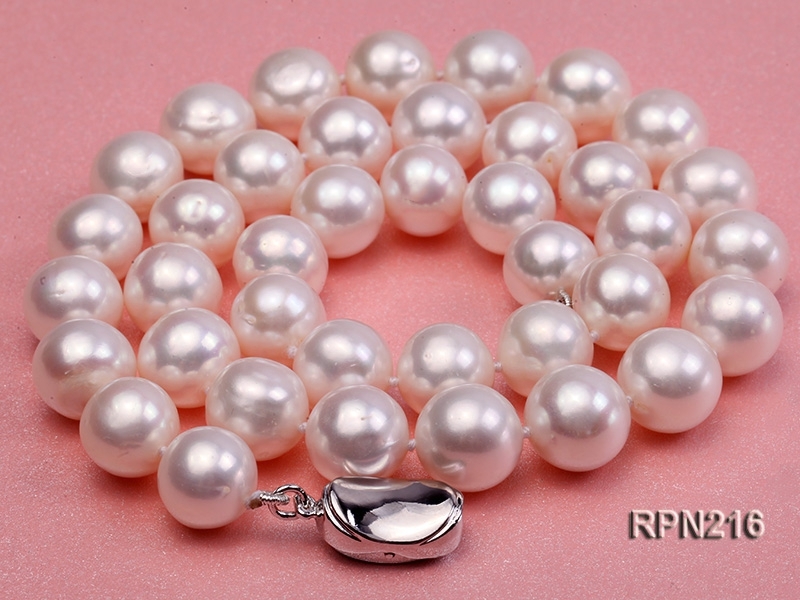 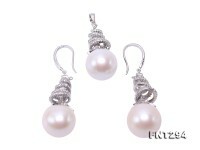 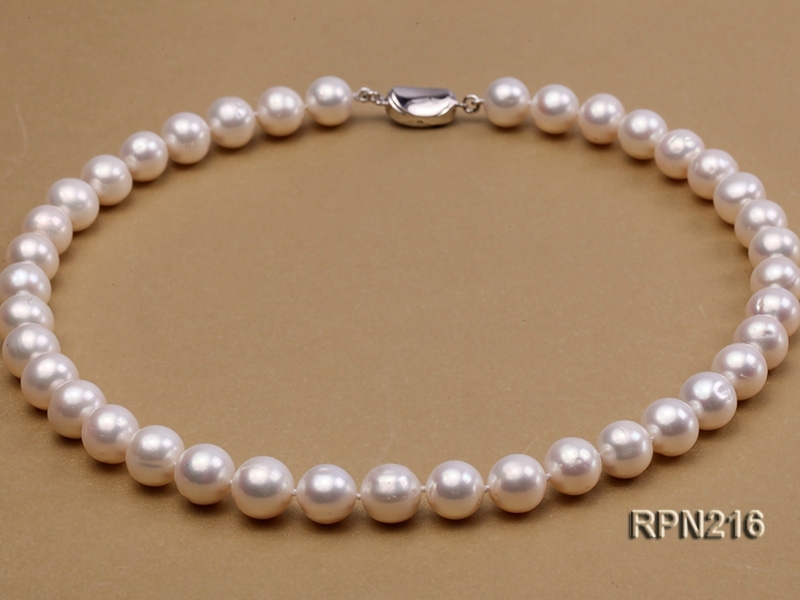 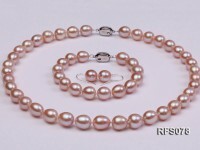 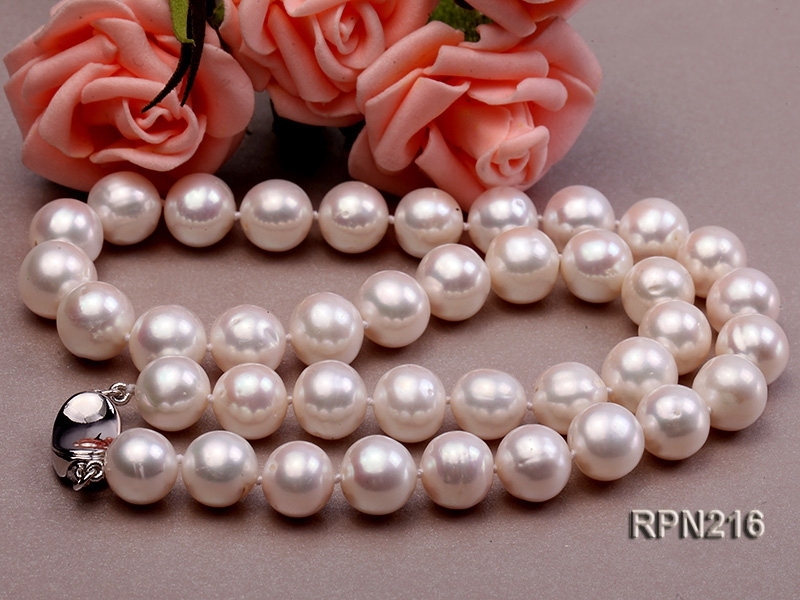 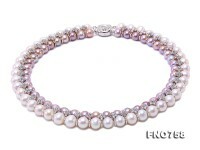 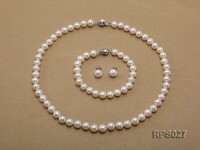 Graceful sing-strand necklace made of 11-11.5mm white round cultured freshwater pearls. 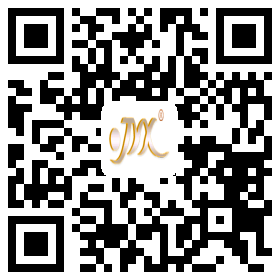 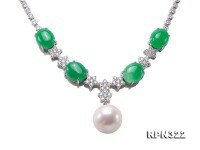 The necklace has a length of 18 inches and is ended with an argent gilded clasp. 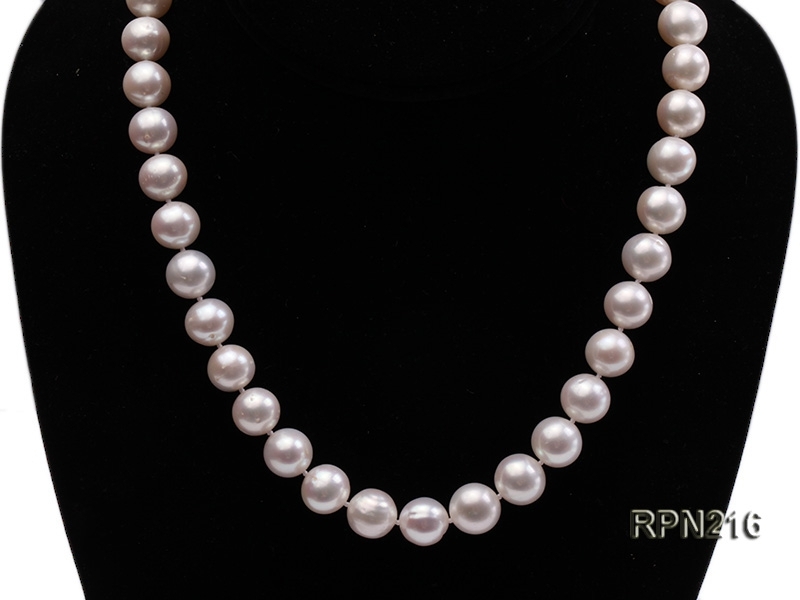 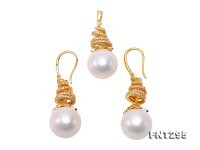 This necklace features a single-strand of smooth, lustrous and similar-sized pearls with slight blemishes. 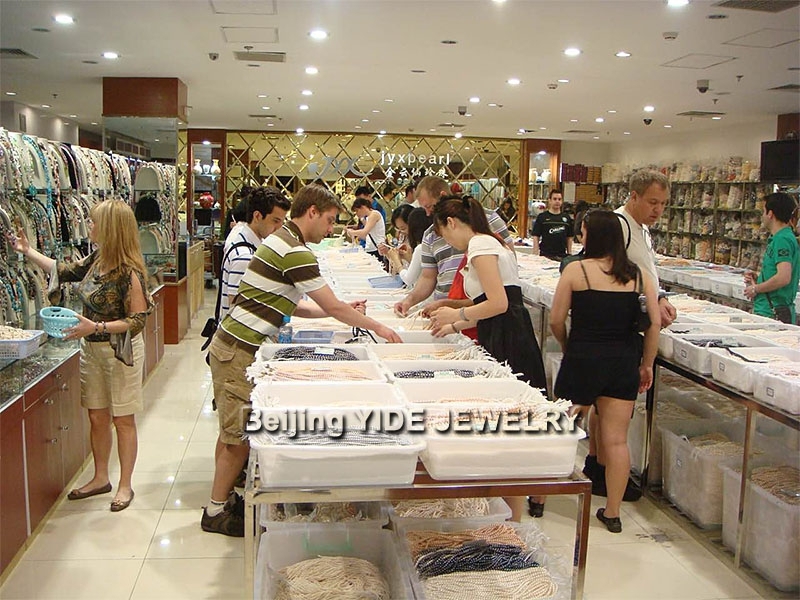 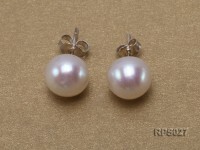 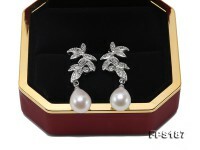 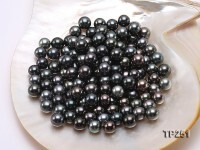 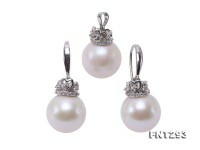 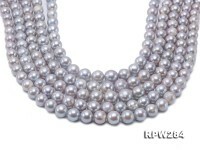 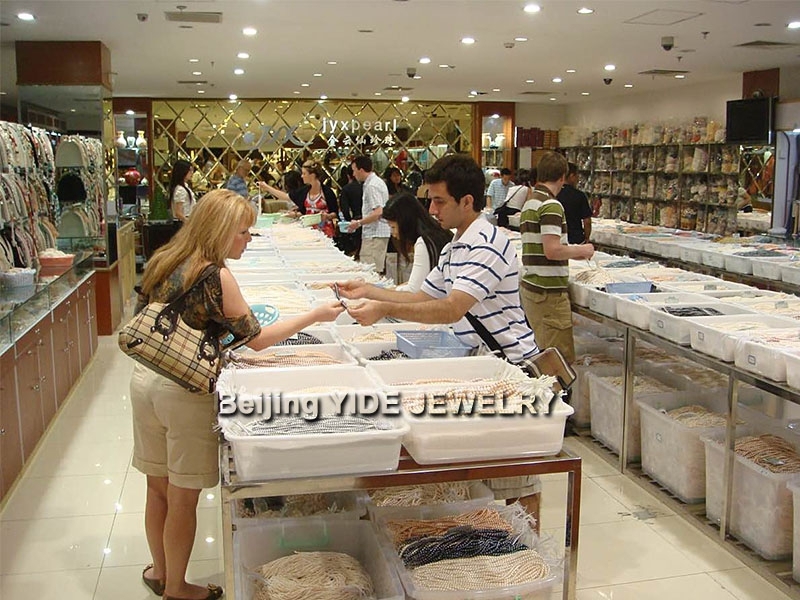 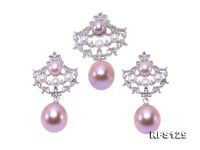 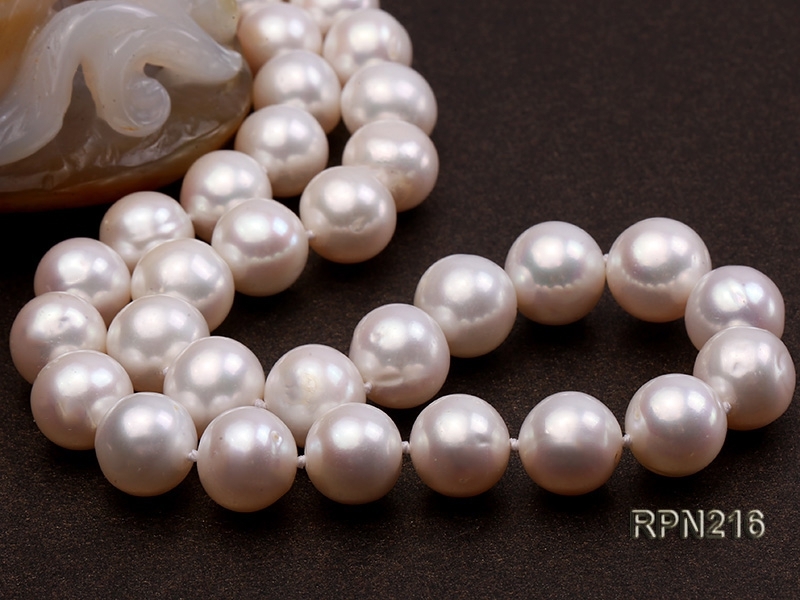 The necklace is professionally hand-knotted between each two pearls, which makes the necklace look nicer and protects the pearls from rubbing each other.